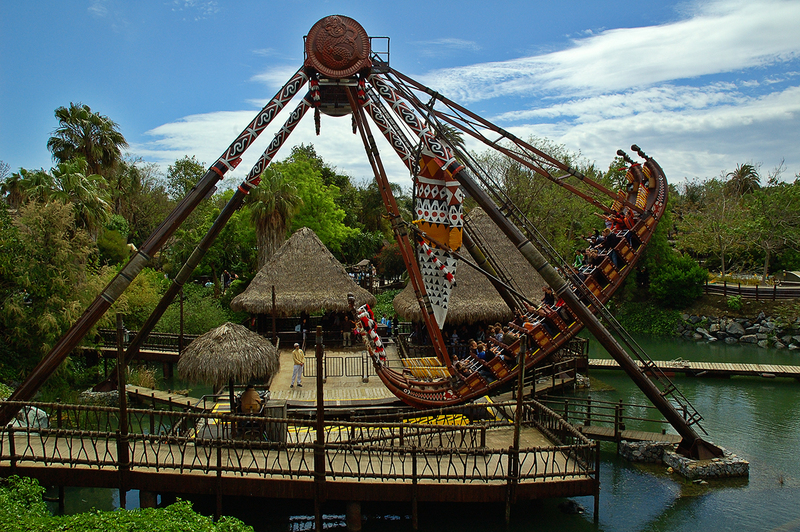 And here's another attraction at Port Aventura amusement park in Tarragona. The ship is located in the Polinesia area. I am not very fond of this one. I get sick with the ups and downs. This time I stood in the shade and calmly composed my picture. Don't forget to click on the image for a better view! This ride is hilarious! Don't blame ya!